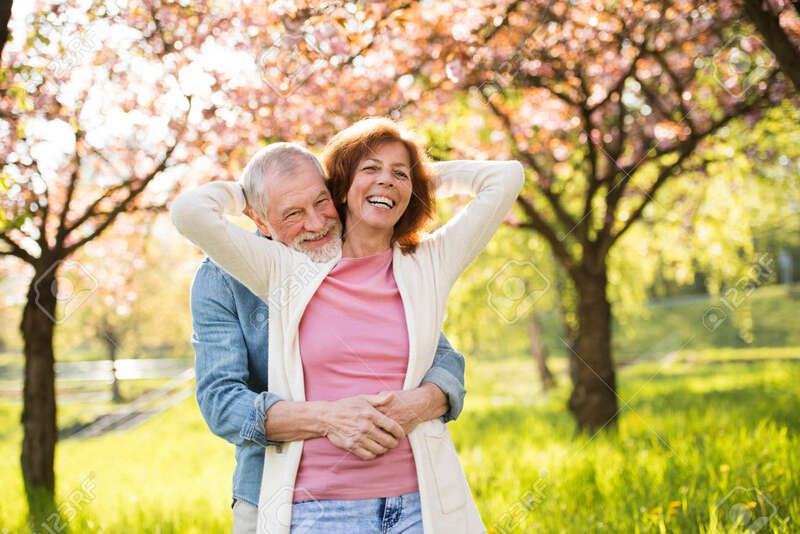 Beautiful Senior Couple In Love Outside In Spring Nature. Lizenzfreie Fotos, Bilder Und Stock Fotografie. Image 93211345. Standard-Bild - Beautiful senior couple in love outside in spring nature.